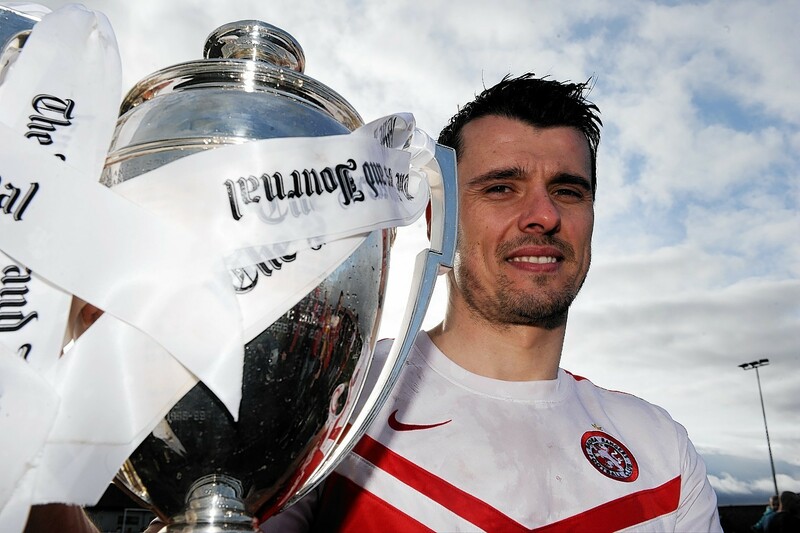 Brora Rangers captain Steven Mackay is convinced the Cattachs have what it takes to set up a winner-take-all pyramid play-off tie against Montrose when they face Edinburgh City at Dudgeon Park this afternoon. The tie is evenly balanced after the sides drew 1-1 at Meadowbank Stadium last weekend and, despite the loss of defenders Dale Gillespie and Grant Munro as well as Mackay’s strike partner Zander Sutherland, the former Ross County, Forres Mechanics, Peterhead, Elgin City and Nairn County player expects his team to prevail. Why? They have the best backing in the Highland League. Mackay, who has scored 55 goals this term, said: “Our supporters have been fantastic over the last two seasons. They have followed us all over the country. Despite the financial commitment, they do it every week and, for me, they’re the best in the league and they’ll certainly be right behind us. “We were disappointed by our performance in the first leg in Edinburgh last weekend. I felt we didn’t have the usual intensity to our game but perhaps that was partly due to fatigue as it was our 47th game. Reflecting on the chance which got away from him at Meadowbank, Mackay added: “I have scored a lot of goals with my head this season, so no doubt when I missed a header from six yards some of the supporters would maybe start to question if I was one of the players supposedly not wanting to go up into the Scottish League. “We will be without Grant, Zander and Dale, and, although it is going to be tough as Edinburgh City are no mugs as we saw at Meadowbank, it will give a chance to a few of the lads who haven’t featured much lately to come in and show what they can do. “The team which wants it most on the day will go through.